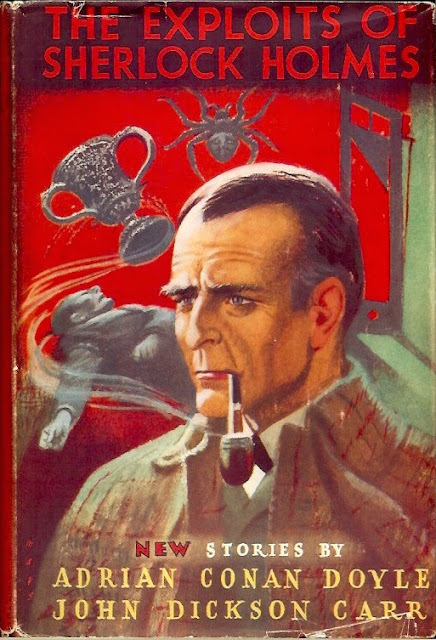 The first official Sherlock Holmes continuation was this collections of new stories penned by Adrian Conan Doyle and John Dickson Carr. This is the first edition published in 1954. I've also covered the 1976 paperback. This is a collection of Entirely New Sherlock Holmes stories written by son of Sir Arthur Conan Doyle and that master of detective fiction John Dickson Carr.